I love that Baby K is old enough this year to start to grasp the concept of the magic that Christmas brings. It is my favorite holiday and I hope that she will one day enjoy it as much as I do. To really celebrate and get into the Christmas spirit, I'm working on activities for us to do all month long. 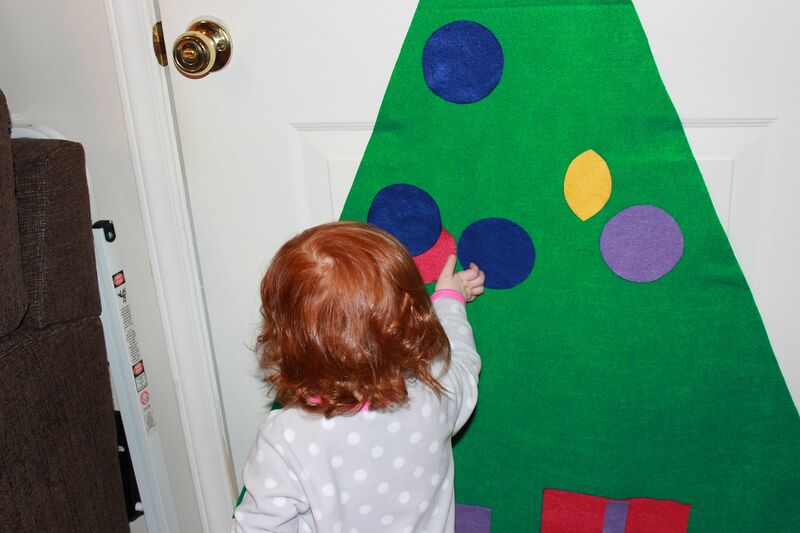 First on the list - make a felt Christmas tree. 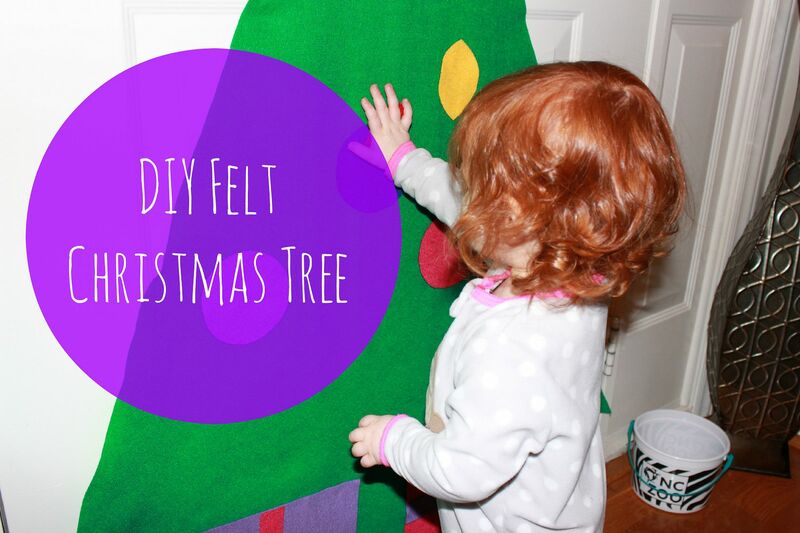 I love this idea because it gives children a chance to have their own Christmas tree that they can decorate all their own. No ornaments will be harmed or broken either! Now, I am by no means what one would call "crafty." I like to do a few DIY things, but nothing spectacular or awe worthy. And that is why this craft is so perfect for people like me. You really don't need a lot of special skills - unless you count cutting a special skill, then you need that. And in the end, you have a really cute tree to share with your children and you can trick them into thinking you are crafty. Another reason I love this craft? It does not break the bank. The whole project cost me about $8! I went to my local JoAnn Fabrics and found that they were having a 50% off sale on felt, score! So I snatched up several colors and headed to the cutting counter. I ended up getting way more felt than I actually needed, so actually this craft only cost about $4 because I used half of what I bought (anybody need some felt?). 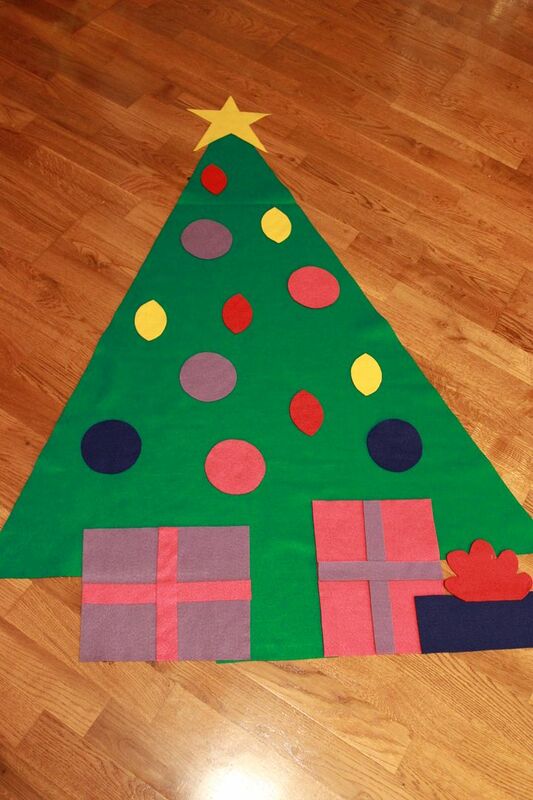 I purchased felt that was 72 inches long, more than enough to create all of the ornaments to adorn the tree. For the actual tree I purchased a yard of green felt; I wanted the tree to be big enough to hold a lot of ornaments and presents at the bottom. 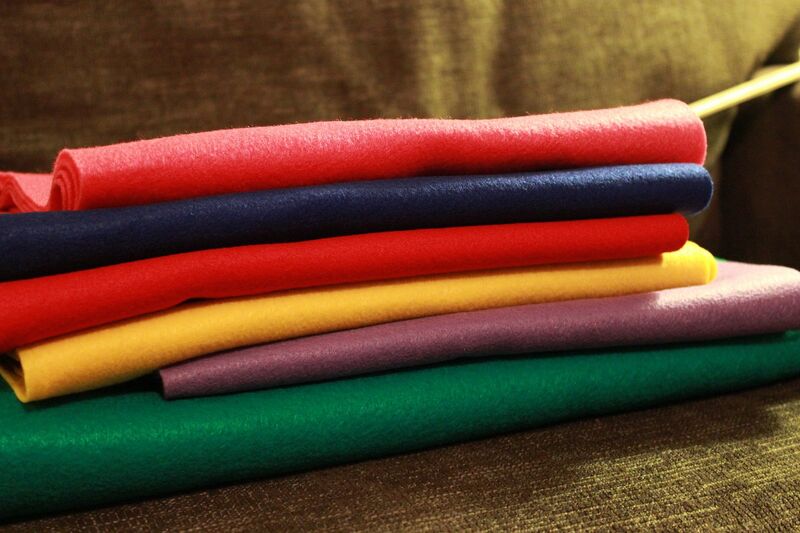 I then purchased a foot of felt in all of the other colors. In hindsight, I probably would have only purchased 4 inches, since the felt was so long. But hey, you live and you learn. Plus, with the felt being a foot wide, I was able to create presents. There is no secret trick to this. I simply grabbed my yard stick, a sharpie and a pair of scissors. I decided how big I wanted the tree to be and kind of eye balled the entire thing. No geometry was used and it still turned out perfect. For the ornaments I used a coaster and traced circles and half circles. Then I cut everything out, hot glued the presents to the tree and stuck the tree to the wall. I used Command strips to get the tree to stick to the wall. I love them because when it is time to take the tree down, I won't have to worry about any unwanted holes or messy tape residue. 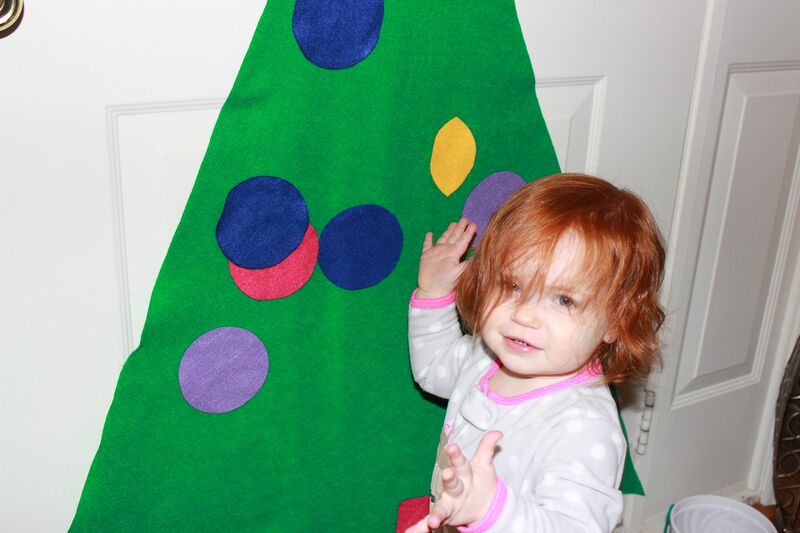 And now Baby K has her very own tree that she can touch anytime she wants. 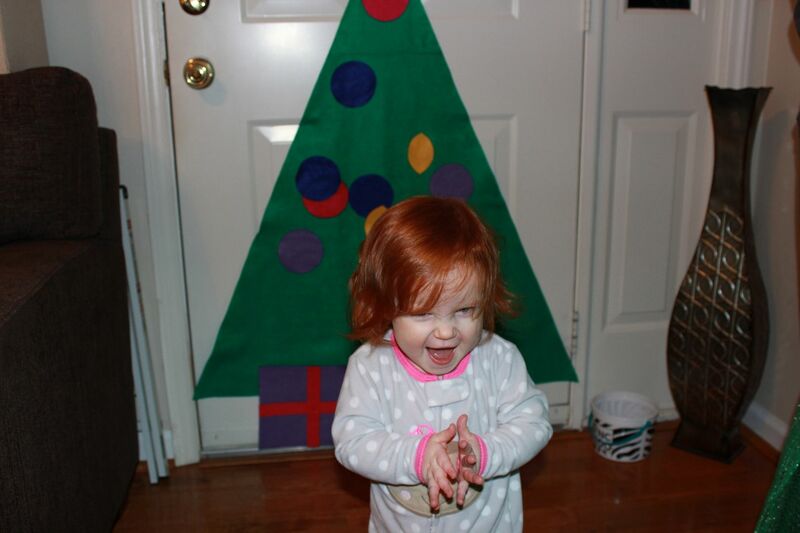 To encourage her to play with the tree, we would clap and cheer each time she stuck an ornament on all by herself. And it appears we have conditioned her to expect cheering every time she places an ornament because she turns around and claps her hands in between placing every ornament. Love that girl! Such a cute idea for kids! Love it! I should do something like this in my office at school, too! What a fun idea for the little ones.